SAN DIEGO – An eight-member jury on Friday found Apple infringed three of Qualcomm’s patents used in iPhones, awarding the San Diego-based company over $31 million in damages in the first U.S. jury trial of a global intellectual property dispute between the two technology giants. The patents at issue are related to data storage, graphics processing and battery life in iPhone models 7 through 10. “The technologies invented by Qualcomm and others are what made it possible for Apple to enter the market and become so successful so quickly. The three patents found to be infringed in this case represent just a small fraction of Qualcomm’s valuable portfolio of tens of thousands of patents. We are gratified that courts all over the world are rejecting Apple’s strategy of refusing to pay for the use of our IP,” Rosenberg said. In closing arguments Wednesday in the 10-day trial, Qualcomm attorney David Nelson with Quinn Emanuel said Qualcomm’s patented technology used in newer generation iPhones resulted in 15 minutes of extra battery life per device. Nelson said the value of the improvements Qualcomm’s patented technology made to iPhones amounted to $1.41 per device or $31,606,168, which he said Apple should have paid to Qualcomm as royalties for using the technology. The verdict marks a win for Qualcomm in its first U.S. jury trial with Apple as regulators across the globe have zeroed in on the company with antitrust suspicions of a monopoly on chipset technology used in smartphones. 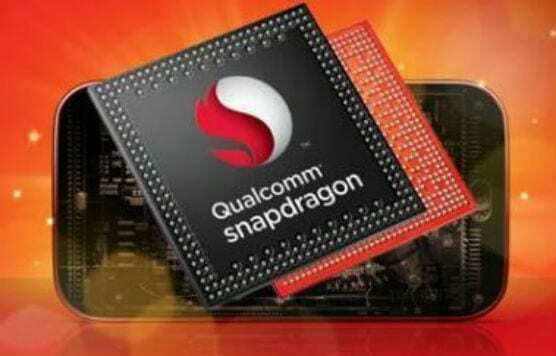 A bench trial earlier this year in Silicon Valley in an antitrust action brought by the Federal Trade Commission against Qualcomm over the chipset technology has not yet been decided by the judge. Qualcomm sued Apple in 2017 asserting its patents in response to an antitrust lawsuit Apple and its contract manufacturers had filed against Qualcomm months before. Apple and the others claim the cellphone chipset maker has a monopoly on the technology used in virtually all smartphones, stunting industry competition. Last year, an attorney for Qualcomm claimed Apple and its contract manufacturers owed billions in unpaid royalties for using the technology in cellphones. That trial, in U.S. District Judge Gonzalo Curiel’s courtroom, is scheduled to begin April 15. The years-long spat started when the FTC brought antitrust claims against Qualcomm and when Apple started purchasing some of its chipsets from Intel for use in new iPhone models. Between 2011 and 2016, Apple had exclusively purchased the technology from Qualcomm. During her closing arguments Wednesday, Apple attorney Juanita Brooks with Fish & Richardson said the “real motivation” for Qualcomm’s patent lawsuit against Apple was to retaliate against the iPhone maker for no longer purchasing the technology exclusively from Qualcomm. “The first we heard of [the patents] was when we were not in an exclusive relationship with Qualcomm,” Brooks said Wednesday. Also at issue in the trial was Apple’s claim one of its former engineers, Arjuna Siva, helped to develop technology patented by Qualcomm but he was not named as an inventor. The jury found Siva should not have been named a co-inventor.